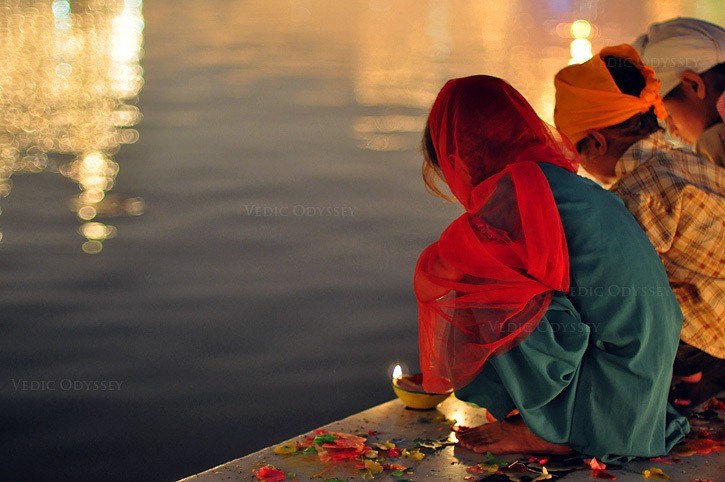 Diwali means the Festival of Lights. 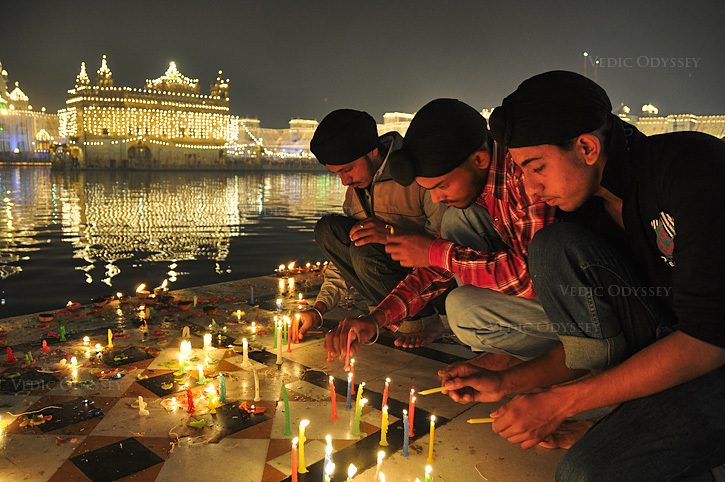 The Sikhs celebrate Diwali because Guru Hargobind reached Amritsar on Diwali day after his release from Gwalior jail. He had also got 52 princes freed from prison. 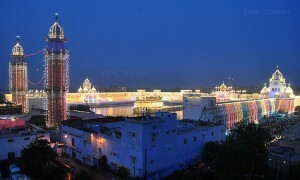 That is why this festival is very important for the residents of Amritsar. The Golden Tempe complex is illuminated and wonderful displays of fireworks are held. 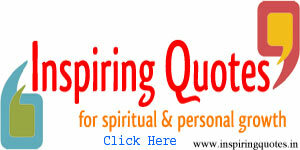 Priceless historic treasures and weapons used by the Gurus are put on display.. 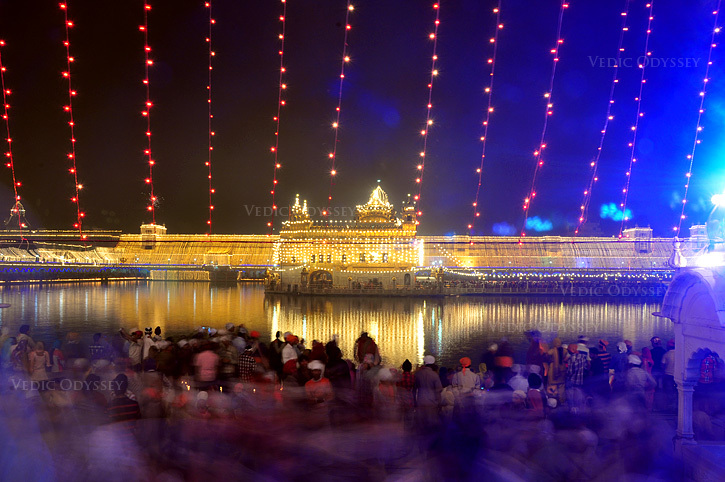 The Indian festival of lights held around October 25th. Guru Amar Das institutionalized this as one of the special days when all Sikhs would gather to receive the Gurus blessings at Goindwal. 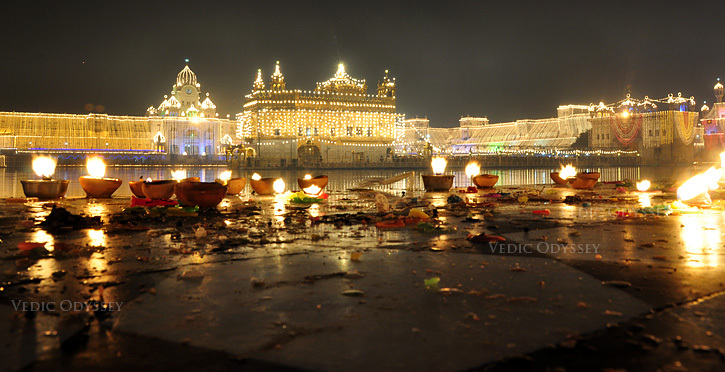 In 1577 the foundation stone of The Golden Temple was laid on Diwali. 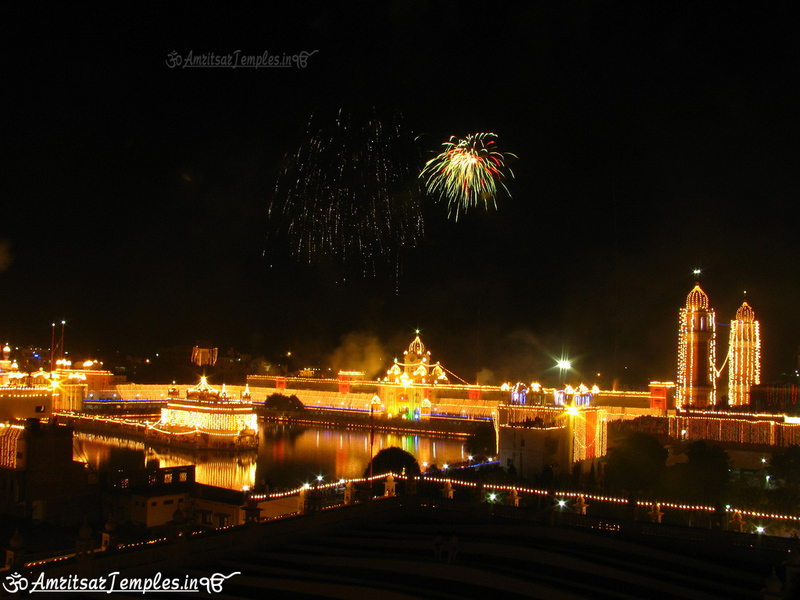 On Diwali 1619 the Golden Temple was illuminated with many lights to welcome home and celebrate the release of Guru Hargobind from imprisonment in Gwalior fort. 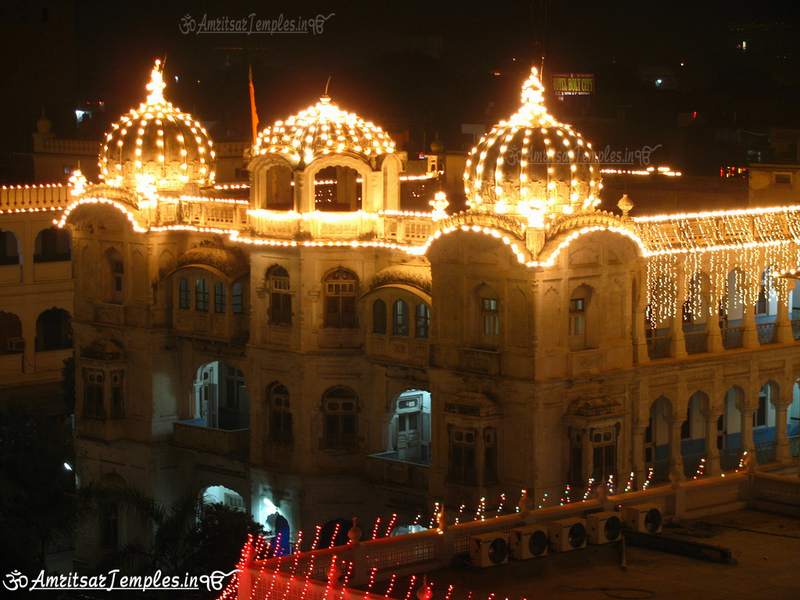 Sikhs have continued this annual celebration with lamps being lit outside gurdwaras and sweets distributed to all. 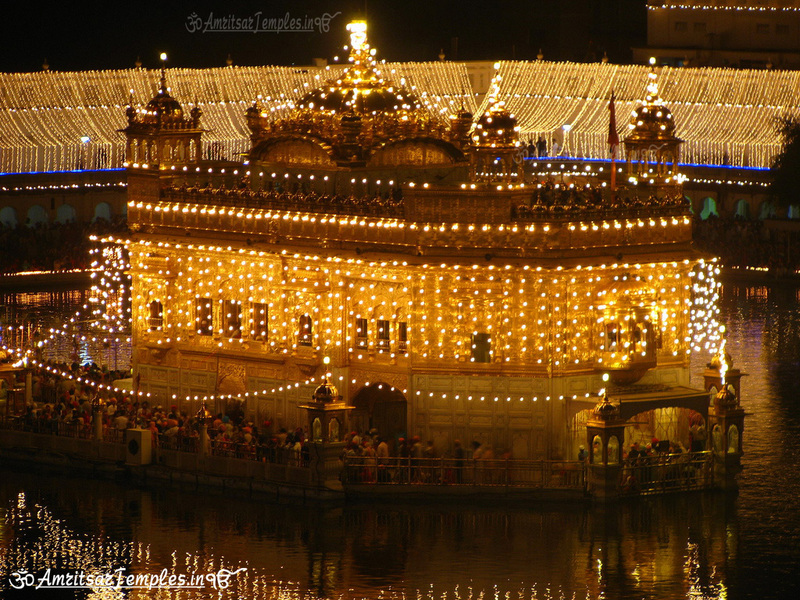 The largest gathering happens at The Golden Temple which is lit up with thousands of lights.